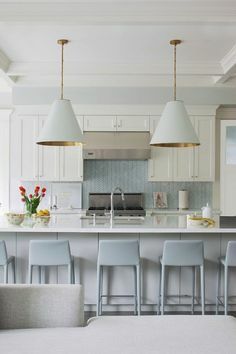 Even though we’ve already said goodbye to the lovely summer and happily welcomed Fall, there is always room for cool aqua in any interior. Phillip Jeffiries Tease wallpaper is a great hand-printed wallpaper with modern, almost retro look. Imagine a cozy club chair in the Robert Allen’s Velvet Maze. Don’t you love the room Mably Handler did for the Hamptons Designer Showhouse. 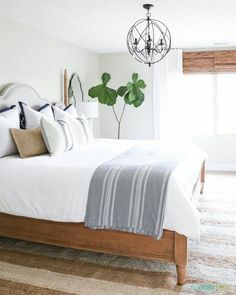 The contrast of the navy keeps the room from feeling too tropical and gives it a year round appeal. How about an indoor/ outdoor rug for the living room or sunroom like the one above by Transocean? Your muddy boots from apple picking will be no match for this easy to clean rug. Lastly, I would love to sip a nice hot cup of mulled cider and watch the leaves change sitting in the Surprising Lounger by Fermob. It was introduced only a few years ago and has become one of my favorite pieces. Maybe you’ll make it out to Hank’s Pumpkintown and stop by us for a visit!